This is national championship week. The conventional wisdom of racing tells us it will be hard to top the 2017 Tour de France. Second place, with a dark horse coming in to the biggest race on the calendar. It was a result few outside the team could see coming, and certainly one of the team’s proudest moments. The Tour’s 21 stages provide ample opportunity to dream. For stage hunters, for sprinters, for climbers, for yellow-jersey contenders. Everything is possible, and it’s on the sport’s biggest stage. Find comments from each of our Tour riders below. 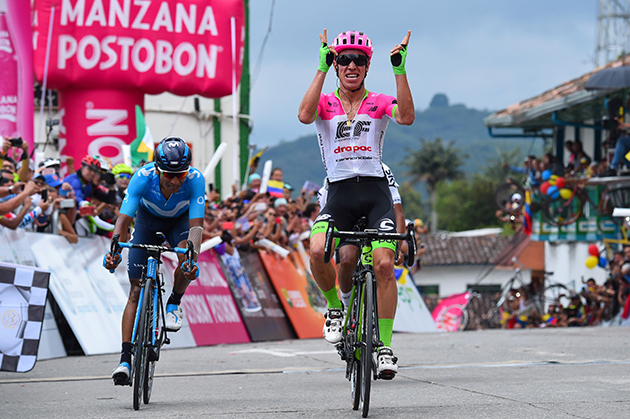 Rigoberto Uran (sitting up) will lead his team in the hunt for the Yellow Jersey. In theory the cobble stage would suit me perfectly, but I go to the Tour to help Rigo, so there are no personal goals except to help him as best I can. I've had five Tour starts, and this is the first time I'm going with a team fighting for the podium. It's also the first time I do the Tour with #PinkArgyle, so that's exciting." Amazing, unexpected and one of the best days of his career - all ways Dylan van Baarle described winning the Dutch national time trial title. The 26-year old rode to his first senior national title in fantastic fashion in Bergen op Zoom, winning the TT title by 30 seconds from nearest challenger Niki Terpstra (Quick-Step Floors). It was a lengthy test at 52.3 kilometres and Dylan thinks he measured his effort well. Dylan van Baarle in 2014. Dylan's mother was on hand to see her son take one of the biggest wins of his career - a special moment for a pro who rarely gets to race in his homeland. “Of course it’s one of my biggest wins. The Tour of Britain [in 2014] was also a big deal, but being Dutch champion is something you dream of as a child. To ride with the champion’s jersey will be really special. 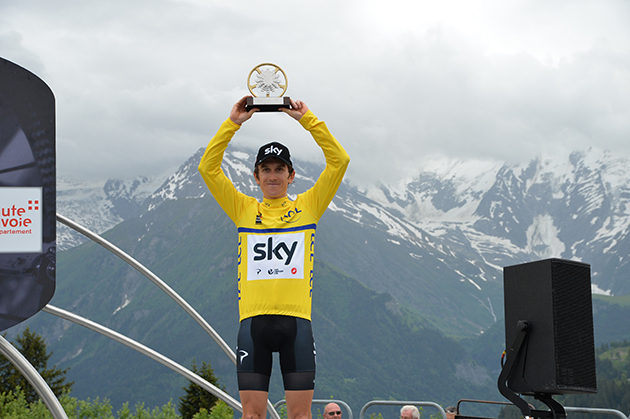 Geraint Thomas claimed his first elite British time trial title with a supreme ride at the national championships. Fastest through each intermediate split, the Welshman clocked a winning time of 48 minutes and 54 seconds across the three laps which formed a 39.7-kilometre course in Northumberland. The Team Sky rider came home 37 seconds ahead of nearest challenger Harry Tanfield (Canyon Eisberg), with five-time nationals winner Alex Dowsett (Katusha-Alpecin) rounding out the podium, 54 seconds back. “It’s great. Obviously winning the Dauphine was a big boost. I’ve done a bit of training now since, and to come here and win the nationals for the first time is really encouraging. I rarely get to race in the UK, and to do a one-off TT like that is rare too, so I’m really happy. There were further strong showings in the top 10 for Team Sky riders, with Tao Geoghegan Hart claiming sixth spot, with Jon Dibben one place further back in seventh. Team Sunweb’s Lennard Kämna (GER) is amidst a temporary break from racing whilst reflecting on his long-term career goals. The decision is made mutually between Lennard and the team as a precaution - to allow the 21-year-old to take some time to review his situation as an athlete and set long-term goals before getting back into racing again. Team Sunweb’s philosophy is to develop young and talented riders using a gradual approach, step-by-step, with no pressure on short term results. Part of this development process is to continuously evaluate and adjust plans to find the best route on an athlete’s road to success. Lennard’s situation is being closely monitored, with Team Sunweb’s coaches and trainers having created a plan for the upcoming period. Harm Vanhoucke turns pro at Lotto Soudal as of 1 July. The 21-year-old Belgian is a product of the U23 team which is led by Kurt Van de Wouwer. 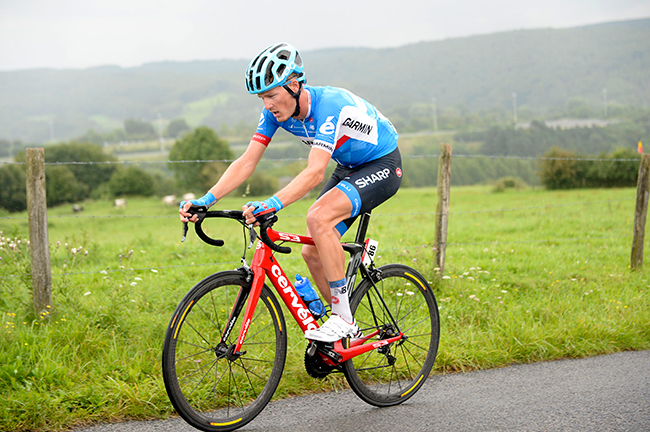 The young climber already showed his talent by winning the Piccolo Giro di Lombardia in 2016 and he already took stage victories in prestigious U23 races such as the Giro della Valle d’Aosta and the Tour de Savoie Mont-Blanc. Vanhoucke is currently recovering from anaemia, but he started training again. MONTRÉAL (BRAIN) — Dorel Sports has sold its Sugoi and Sombrio clothing brands to Louis Garneau Sports Inc., Dorel Industries announced Wednesday. Dorel said it is exiting the performance apparel business to focus on bikes, parts, accessories and electric ride-ons. "Despite the strong brands and products in Sugoi and Sombrio, apparel is not a strategic priority and has been a drain on Dorel's financials. It is in the best interests of our shareholders for us to focus on our core businesses. Sugoi and Sombrio are a perfect fit for Louis Garneau Sports Inc. They specialize in cycling apparel and I am confident both brands will reinforce their excellent product offerings to retailers worldwide," said Martin Schwartz, Dorel's president & CEO. Dorel Sports' parent, the publicly traded Dorel Industries, expects to record an estimated $11 million of restructuring and other costs during the second quarter ending June 30, 2018, mainly related to non-cash charges associated with the write-down of trademarks and noncash inventory markdowns. The company said the amount may be subject to change once Dorel finalizes its analysis of the transaction. Dorel will provide additional details and updates in its 2018 second quarter consolidated financial statements, which is expected to be issued on Aug. 3. Dorel acquired Sugoi Performance Apparel in 2008 when it bought Cannondale Bicycle Corp. from Pegasus Capital Advisors. Dorel purchased Sombrio in 2014. Louis Garneau Sports called the deal "a strategic acquisition that will reinforce its positioning on the West Coast of both Canada and the USA and provide strategic opportunities for growth in Western Europe and Asia." "This acquisition will enable Garneau Group to rapidly increase its sales and become a world leader in cycling apparel," said Louis Garneau, the company's president and founder. He said the three brands will be on display together at next month's Eurobike show. "We will present our three brands and put forth the Canadian spirit and the strength of our innovations." Garneau noted that a second generation of family members are increasingly involved in the company. Louis' son William, 28, is general manager of the company while Edouard, 25, is sales director. Their sister, Victoria, 21, has just finished her studies in Fashion Design and will soon be joining her brothers full-time in the family company.